TWT Riders were able to visit Lethabo Kids Club in the township of Leseding, which has been run for the last sixteen years by Marilyn Cook – seen here in purple. As it was the weekend before Easter we handed out Easter eggs as a treat. The youth who help on the project organised games and dancing for the children with vibrant music. The children normally receive a glass of fresh milk and a peanut butter sandwich when they come to the club for stories and other activities each Wednesday. 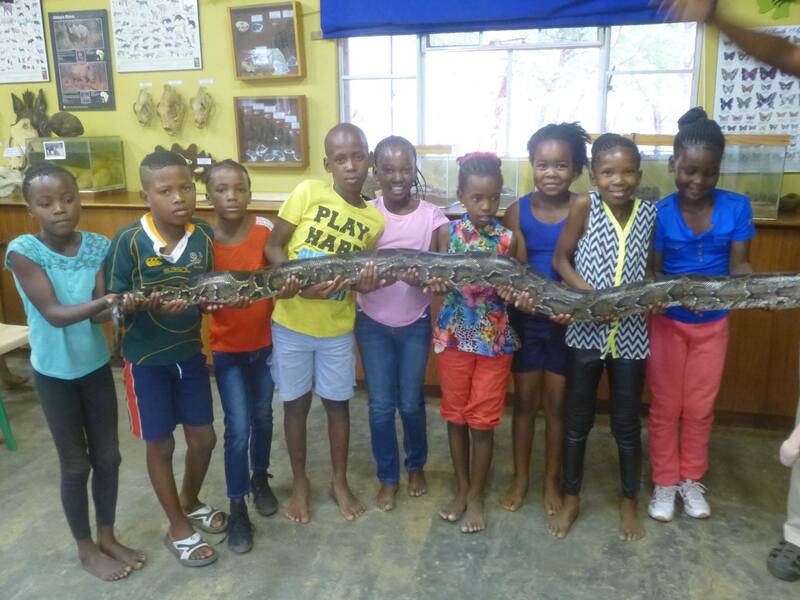 The Waterberg Trust is supporting a ‘Back to School’ project here, which has been working well and ensures all the children are equipped for the new school year in January. The state provide schooling but require each child arrive dressed in uniform, bringing a school bag equipped with stationary. Some families battle to find the money for this. 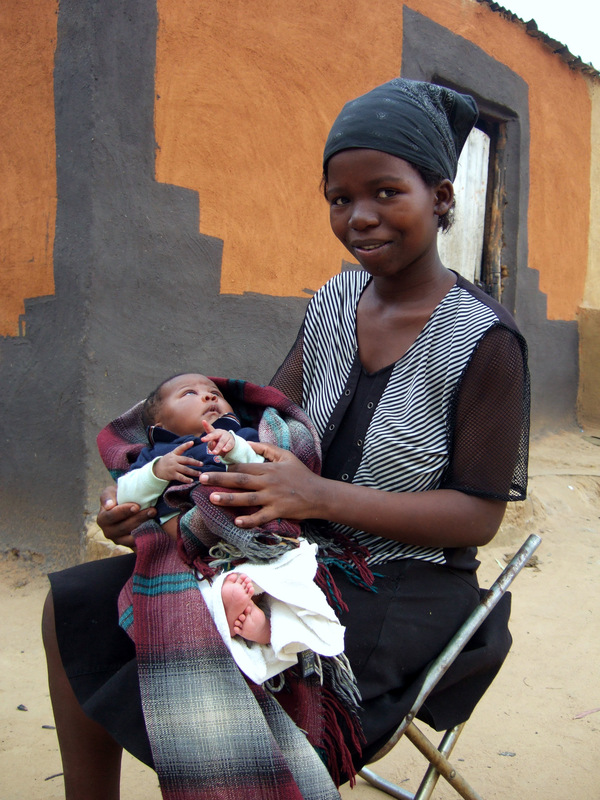 Lethabo Kids Club help by providing one item of clothing for each child. They first ask the children’s guardians to complete a form confirming they need assistance. So far, more than eighty children have been aided but the need is ever present. Some children have lost their parents and are being brought up by grannys, aunties or older siblings. 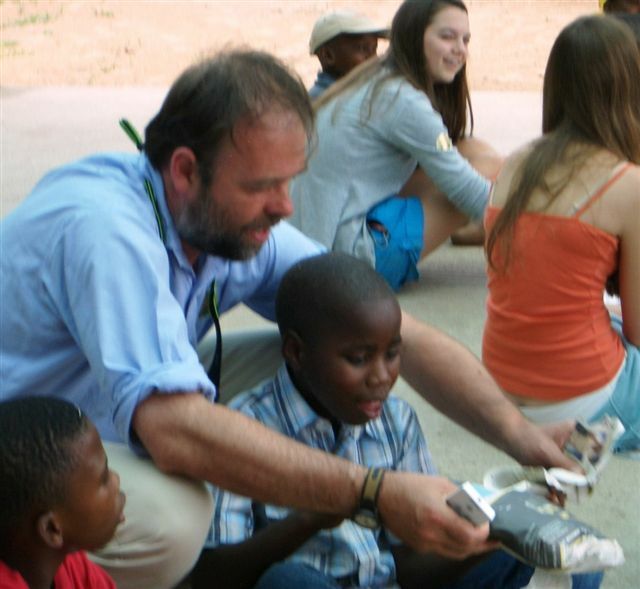 If you would like to make a donation to this project, please click here for The Waterberg Trust Justgiving.com page labelling your gift ‘Letabo Kids Club’. 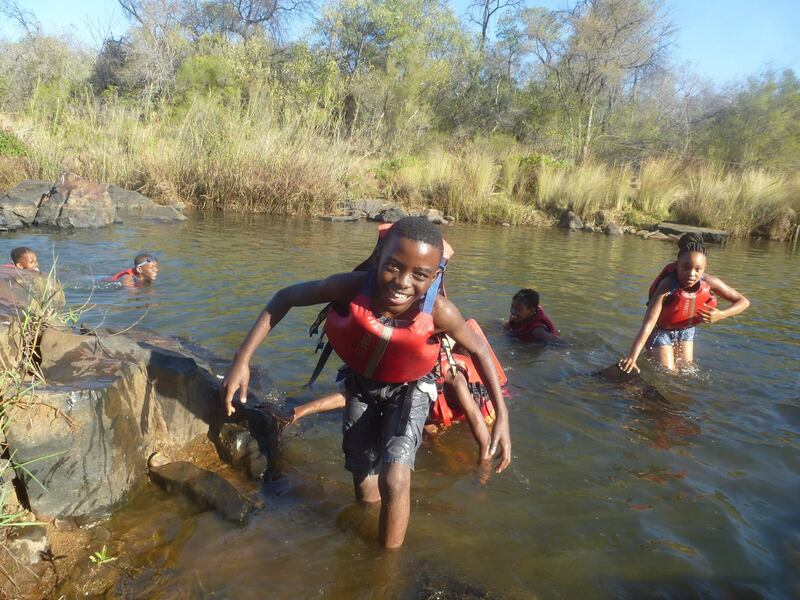 The Waterberg Trust Challenge Ride 2016 is currently raising funds and looking for sponsorship to help this award winning eco-school on the Palala River in the Limpopo Province of South Africa. 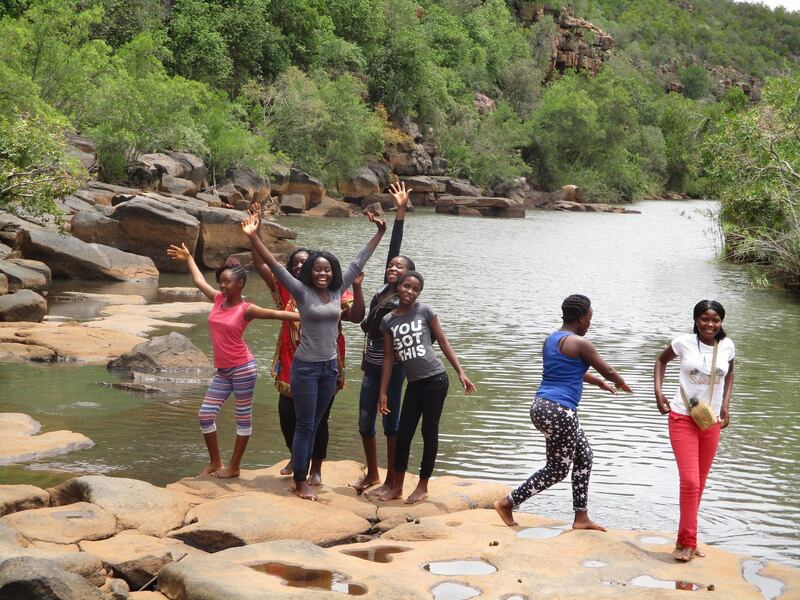 The Lapalala Wilderness School was established thirty years ago to give children from disadvantaged areas to have the opportunity to spend a week learning about nature conservation while gaining practical skills in the African bush. 1st December is World AIDS Day! 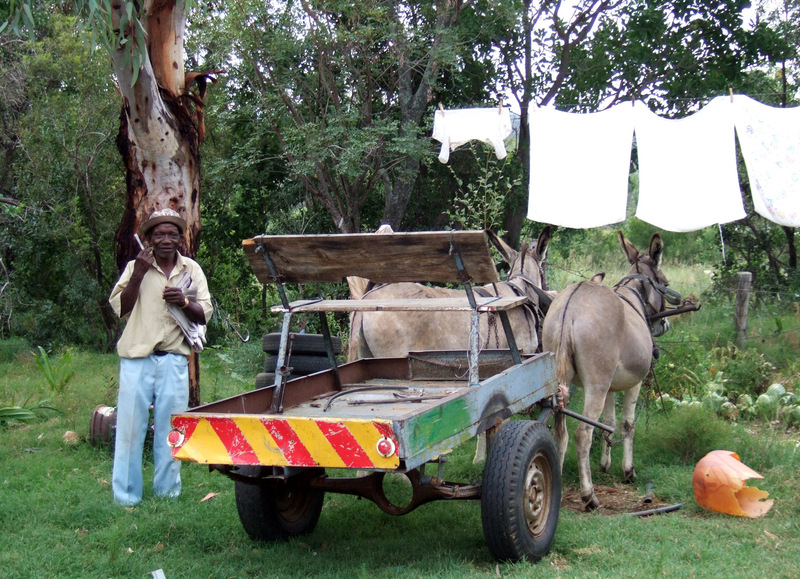 Our aim at the Waterberg Welfare Society Trust is to do all we can to help the people cope with the pandemic in rural areas of the Waterberg in the Limpopo Province of South Africa. If you would like to get involved in fundraising, we’d love to hear from you!